Life-long friendships are beautiful. 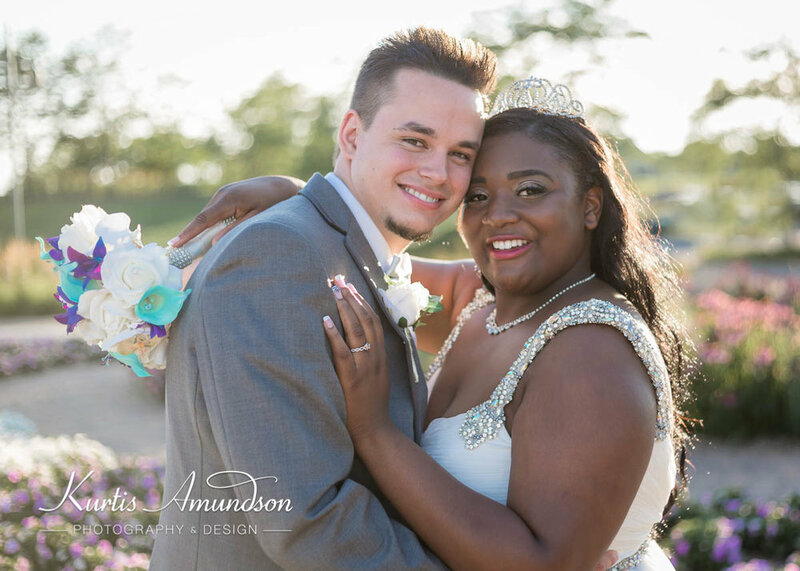 Jasmine and Adam met in Elementary School and later became high-school sweethearts, yet, their relationship is marked by all the fresh ardent beauty of young love, and they radiate kindness and joy to all around them. What a blessing to witness Adam's excitement as he waited to meet his bride, tears of joy streaming down her face, his careful concern to make her day wonderful, her tender love for him. They promised to love each other forever in the beautiful gardens of the Eagan Community Center near gorgeous oak trees, flower gardens and a sparkling fountain, surrounded by the smiling faces of encouraging family and friends. Afterwards, everyone enjoyed a feast and festivities at the Oaks Banquet Hall. Jasmine and Adam, your wedding was simply lovely and we feel more than blessed to document your day! Thank you for your kindness to us. Your friends and family are a treasure and we wish you all the best in your journey together! Jasmine's mother, sisters, and best friends were so sweet and gave her beautiful encouragement. What an fun and stunning group of ladies — We had such a blast photographing them! Adam surrounds himself with the coolest group of guys. We had such a great time. Such a kind and charming man, he treats his bride like a queen. Eagerly anticipating his first look! The pathways among the oaks at the Eagan Community Center provided such a beautiful spot for their first look! Jasmine truly found the man of her dreams. The rolling lawn and leafy trees were such a romantic setting for this amazing couple. We could have photographed them forever. The cuteness of the flower girl almost stole the show — she was so adorable. Jasmine's creative vision was clearly evident in all the wedding details. The team at the Eagan Community Center made her beautiful vision a gorgeous reality. Looking radiant, Jasmine anticipates Adam's marriage vows. The Oaks Banqueting Facility provided a wonderful atmosphere for the wedding day celebration. Classic Catering did an incredible job serving food. The Maid of Honor and the Best Man gave heart-warming speeches. Their first dance as Mr. & Mrs. The Mother & Son dance. The Traveling Photo Booth made for great entertainment. Jason Anhorn created fabulous caricatures. Everyone enjoyed being transformed into a caricature! Adam dancing for Jasmine's approval. The newly minted couple danced away the night with amazing friends and family. We'll close this post with a few sunset photos of their happily-ever-after. Many thanks to the amazing team who made this day come to life!